Размер на този PNG предварителен преглед на изходния SVG файл: 600 × 600 пиксела. Други разделителни способности: 240 × 240 пиксела | 480 × 480 пиксела | 768 × 768 пиксела | 1024 × 1024 пиксела. English: The national emblem of the Republic of China (ROC). 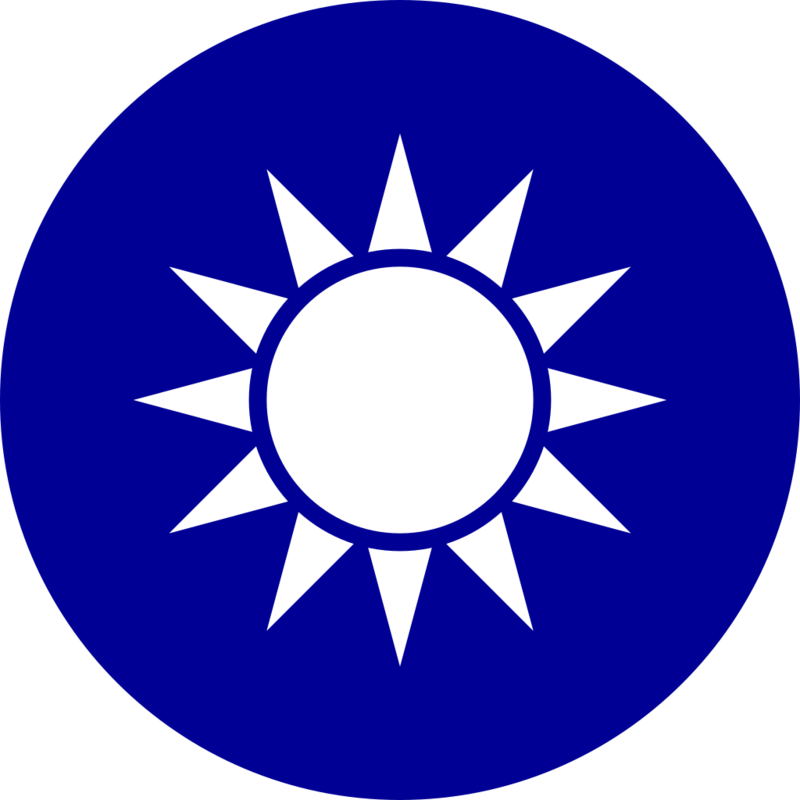 Slightly different from Party Emblem of Kuomintang. 한국어: 중화민국(대만)의 국장(國章). 중국 국민당의 휘장과 다소 차이가 있음에 주의. This roundel was created with a text editor. 18:45, 27 май 2018 600 × 600 (523 bytes) ZhangZihao This the colors used from the website of the President of the ROC. 13:05, 8 октомври 2017 600 × 600 (420 bytes) Lmmnhn Reverted to version as of 18:25, 22 November 2016 (UTC) It does not match the flag. 23:28, 6 октомври 2017 600 × 600 (2 KB) Wrestlingring Changed colors to match flag. 00:24, 8 юни 2014 600 × 600 (533 bytes) Ericmetro Sekisama's version is C100-M60-Y0-K47, doesn't follow the MOI recommendation. Please see talk page for color conversion details.